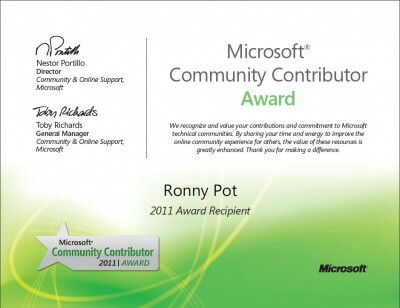 Thanks Microsoft giving me this award! I am really proud receiving this award! Posted in Blog by ronnypot at February 19th, 2011. Well done. You deserve it!